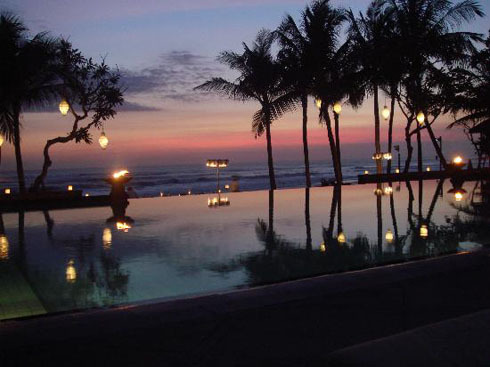 When you vacation in Bali, Legian could be a good place to find cheap hotel and guesthouse. Legian is located in a strategic position because it integrates with the center of Kuta. Lokha Legian Hotel is located in the heart of the tourist area of ​​Legian, Kuta Bali. Area which is famous for its tourism and provides plenty of access tourist attractions, shopping, and entertainment venues such as Kuta beach, Waterboom Bali, Kuta Sequer, and more. Accommodation is to charge thousands of prices starting at Rp 500.000 / night. Royal Tunjung Bali Hotel & Spa is one of the cheap hotel in Legian Bali that offer hotel accommodation and spa. Precisely located on Jalan Padma Utara, Legian Bali, and is only a few meters from the Kuta Beach. The hotel facilities include a complete outdoor swimming pool with bar. This inn is also equipped with a special room called the Legian Paradiso Garden View Suite. What about the Legian Beach Hotel? The hotel provides a large selection of rooms such as Deluxe Garden Bungalows, Deluxe Beach Bungalow, Pool Villa Deluxe Rooms, Superior Family, Deluxe Family Room, Handicapped Friendly Room. All facilities are equipped with sophisticated facilities. A hotel with a natural concept, which presents a complete inside facilities such as TV, refrigerator, telephone, etc..
And still another many choice for cheap hotels in Legian Bali. And is certainly a lot of conveniences that you can get when you decide to stay in the area of ​​Legian, Kuta Bali. Happy Holidays!